Due to the hazardous weather advisory and school early closures/ evening activities cancellations, roundtable was rescheduled. 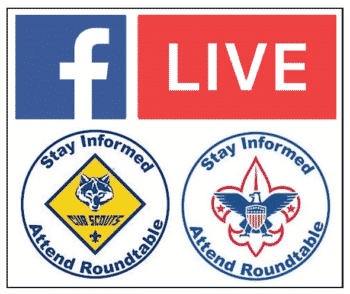 February’s roundtable will still occur – but given difficulties in schedules and space available, we’ll be presenting roundtable via video stream! Coming to you from an unknown location In the Frozen North, we’ll be having roundtable on Friday, February 15, 2019 at 7:00pm. We are going to do our very best to present the great information on cold weather camping/ winter gear (also appropriate for your drive to work) as well as the Scout Band! It is just going to take us a few days of rounding up enough sled dogs and snowshoes to get to that remote broadcast studio.